How much is Andy Kindler Worth? 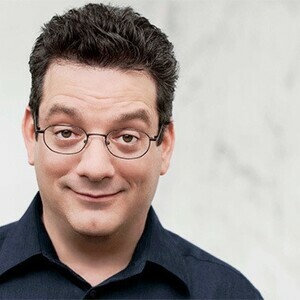 Andy Kindler net worth: Andy Kindler is an American comedian who has a net worth of $500 thousand. Andy Kindler grew up in New York, New York and graduated from Binghampton University in the late 70s. He is known for comedy that often roasts the stand-up industry and his fellow comics. He has performed at the Montreal Just for Laughs Festival multiple times, and delivers the festival's "State of the Industry" address. He has appeared in guest starring and recurring roles on such television shows as "Martin", "Muddling Through", "The Larry Sanders Show", "Who's the Caboose", "Ellen", "Dr. Katz, Professional Therapist", "Late Friday", "Raising Dad", "Home Movies", "Significant Others", "Everybody Loves Raymond', "'Til Death", "Supreme Court of Comedy", "The Life and Times of Tim", "Wizards of Waverly Place", and "Match Game". He also has his own comedy DVD entitled, ""I Wish I Was Bitter". He is currently appearing on the IFC series "Maron", and is the voice of Mort on the popular animated series, "Bob's Burgers".